RIYADH, Saudi Arabia Pakistan Prime Minister Imran Kahn cast aside concerns expressed by other world and business leaders over the death of Washington Post columnist Jamal Khashoggi to attend the Future Investment Initiative investment conference being staged by Saudi Crown Prince Mohammed bin Salman, which opened on Tuesday. 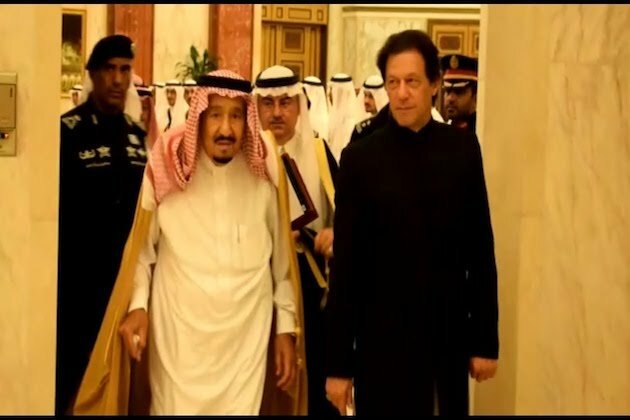 He was richly rewarded on day one of the conference on Tuesday, when at a meeting with the crown prince and King Salman, Saudi Arabia agreed to help Pakistan with a one-year $3 billion loan to assist in addressing a major deficit in the countrys balance of payments. A memorandum of understanding was agreed. The kingdom also deferred payment on oil exports to Pakistan for a year, with the agreement to operate for 3 years in relation to payments totalling another $3 billion. Khan was also successful in persuading the king and crown prince to reduce visa fees for Pakistani workers employed in Saudi Arabia. The newly-installed prime minister of Pakistan flagged ahead of the Future Investment Initiative conference that he would be attending despite withdrawals from a number of other country leaders, and titans of industry. Khan said Pakistan could not afford to stay away as it needed financial support to address the problems it is facing. The Pakistan prime minister met later with business leaders attending the conference, in an effort to entice investment into his country.